Video gives coaches and athletes the same thing that all educators want— and need: relevant, actionable feedback that improves practices and promotes growth. It also provides observers—whether they be coaches or school leaders—the opportunity to provide feedback on their schedule, not necessarily in the middle of a busy school day. But can video really work in schools? 91% felt that simply filming their instruction would help them improve their practices. 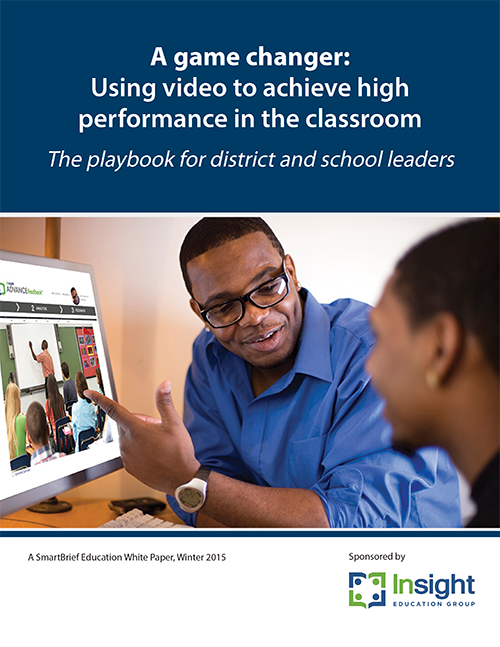 85% of school leaders said that using video in observations would help them provide more meaningful feedback. In this report developed in partnership by Insight Education Group and SmartBrief Education, Insight founder Dr. Michael Moody details how filming classroom instruction has the potential to transform teacher performance—and ultimately, student achievement—and what district and school leaders can do to make it happen. Download the full report for access to this ground breaking information on the value of using video observation to improve educator effectiveness. Included in your download are three documents that are your “go to” resources of implementation of video feedback and evaluation.